One alphabet book cannot tell everything about the Xeni Gwet'in. The references below include information about the photographer and links to other sites with more information about the Xeni Gwet'in. 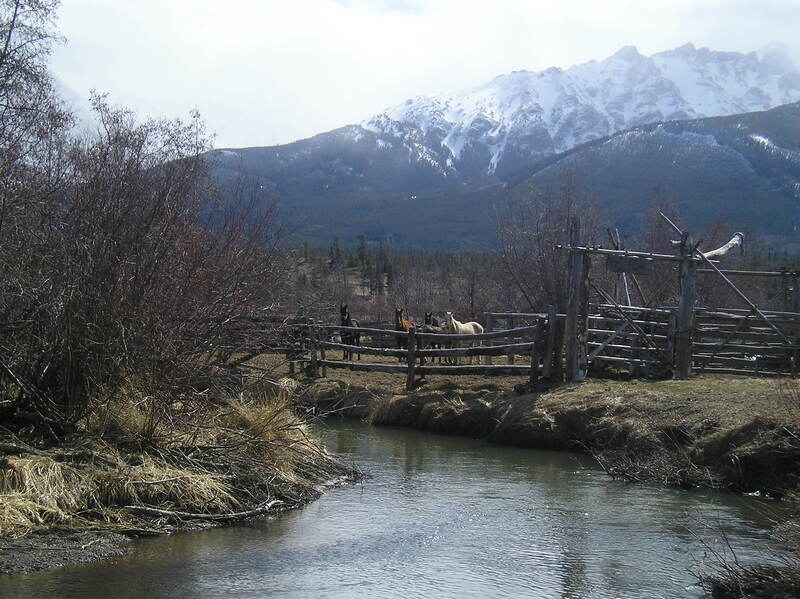 What can you tell us about the Xeni Gwet'in and the Tsilhqot'in (Chilcotin) region? Visit pages about other entries in the book Amazing British Columbia. When I finally got into the Nehmiah Valley to research the Xeni Gwet'in for the book Amazing British Columbia, I discovered I had to stay the night. At Colgate House, the home of local outfitters, I admired stunning photographs of the area. Armed with the photographer's name and contact information, I asked if he might have anything that would suit the book. Vance Hanna sent me a CD full of Tsilhqot'in (Chilcotin) photos. One caught my eye because it not only had older and younger people, but it also had the beautiful mountains that surround the valley and one of the horses I wrote about in the book. As a bonus, the family in the photo were gathering food, which I had also written about. I took this photo on my final research trip into the Nemiah Valley on August 12, 2009. A herd of six to ten horses crossed the road just in front of me minutes after a small herd of cattle had stood in the road blocking my car. I had photos of the cows, and wanted the horses, too, but even tame horses are skittery, so I didn't step away from my car to get the shot. I simply stood in the doorway and leaned over the roof of the car and clicked while the stallion stared me down. 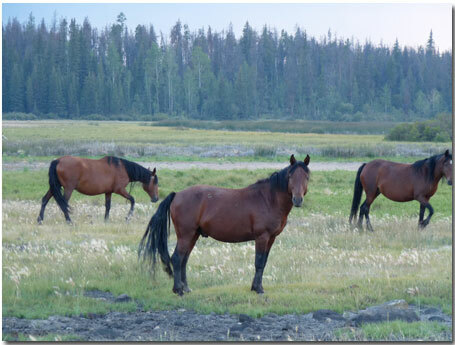 When I arrived at the outfitters where I was to stay the night, I was told the photo was of wild horses. Needless to say, I was thrilled. I didn't take photos of the people themselves. I felt like that might be considered disrespectful. Here are some photos you can view online. When I researched the Xeni Gwet'in, I got my information from the Internet, TV, and finally from interviewing the band council. I knew about the Xeni Gwet'in nation because I began my life in the area. My aunt had been the telephone operator in Alexis Creek, and although I had never been in the Nemiah Valley, I had been on Highway 20 often. So books were not at the top of my research tools. Here is the little I did read. ___________( 2000) "Nemiah Valley" in Encyclopedia of British Columbia Daniel Francis (Ed.) Madeira Park: Harbour Publishing. p. 493. So what can you share about the Xeni Gwet'in? Do you have a photo of the Nemiah Valley? A story about it? An interesting Xeni Gwet'in fact that would amaze others? You can create a page on this Web site just by filling in the form below. Then we can all learn together. Enter Your Title. Include the words "Xeni Gwet'in" or "Nemiah Valley" if you can. Your story will appear on a Web page exactly the way you enter it here. You can put square brackets around a word to make it look bold. For example [my story] would show as my story on the Web page with your story. Use the links below to visit pages about the other entries in the book Amazing British Columbia.